Work has nearly finished on a new cinema and restaurant complex on Eltham High Street. The six screen Vue Cinema and a Nando’s restaurant will open to the public on 25 April 2019. A special premiere event will be held by the Leader of the Council, Cllr Danny Thorpe, who will host local schools, stakeholders and other dignitaries before the cinema opens officially to the public. 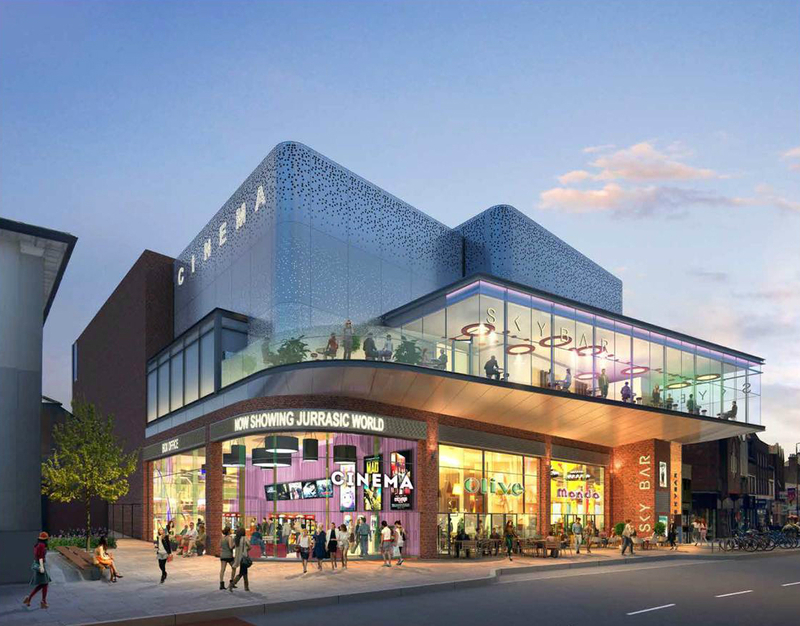 The cinema has provided more than 100 apprenticeship weeks across the construction, supply chain and design, and 60 per cent of the total spend has been spent within 10 miles of the project. The completion of Eltham cinema is the culmination of the Council’s ambitious regeneration of the High Street, making it an entertainment destination for local people and the wider community, increasing the number of visitors to the town and helping reinvigorate other businesses in the area. As part of a Council's masterplan for the town centre Eltham has benefited from a major £6.6m improvement scheme, primarily funded by Transport for London, which has made it more attractive for people walking and cycling. As part of this work pavements have been significantly widened, trees have been planted, benches have been installed and there are now cycle lanes and a 20mph speed limit. Eltham is one of the three major town centres in the Royal Borough, along with Greenwich and Woolwich. Historically important as the place where Henry VIII grew up, it is a thriving centre with a mix of national brands and independent shops. Work is underway on a Sky Café and a pizza restaurant, which will be opening in the coming months.